The Jin Feng, also known as the Golden Phoenix durian, is a pale yellow-white durian. 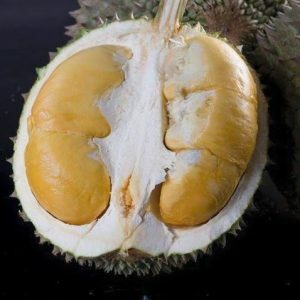 It has a smaller seed than most durians, but has a surprisingly strong, complex taste. 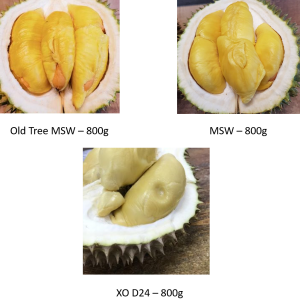 The Golden Phoenix durian has a flesh texture that’s dry and thick, producing a mild alcohol flavour that soaks in your mouth. With a small seed, the amount of flesh you get is quite worth it! Comes in packs of 400g. 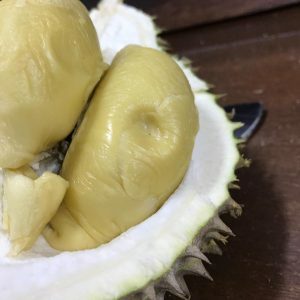 Please note that durians are de-husked. In Stock. 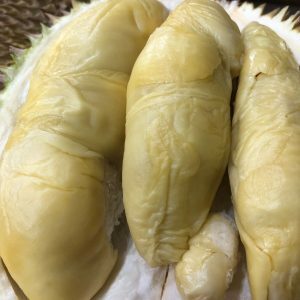 If you have never tried eating fresh durian before, you have never really tasted anything amazingly complex your whole life. 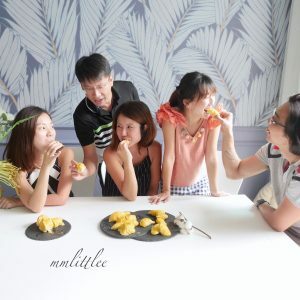 Most people who tried durian have done it out of curiosity or have simply accepted a challenge to eat it. Did you know that there are many varieties of durian and each is different? 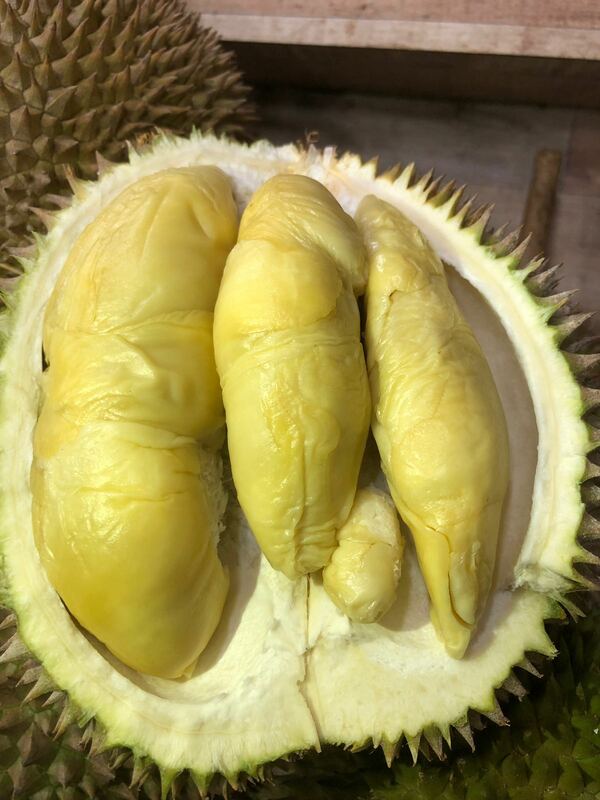 If you are not ready for the big ones, you can try the Golden Phoenix durian variety. 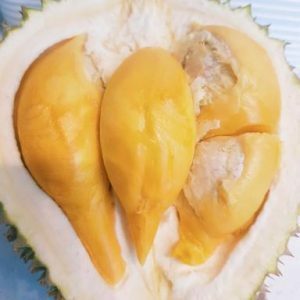 Golden Phoenix Durian is one of the old durian type and is of limited supply. Golden Phoenix Durian, also known as Jin Feng, is not easy to grow and is from Johor. If you check the bottom of it, it has five lines similar to Musang Kim variety. The spiky shell is thin and can be easily opened with bare hands. Inside the shell is a pale yellow-while flesh with very small seed inside it. Golden Phoenix durian is of course has pungent smell and it tastes strong. 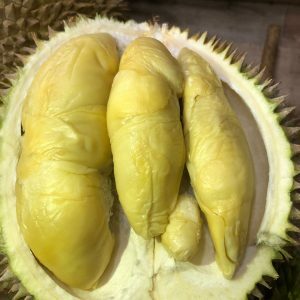 This particular variety of durian is sweet with slight taste of bitterness and can be watery. Jin Feng which means Golden Lady is one of the smallest durian, some can even fit the palm of your hand. 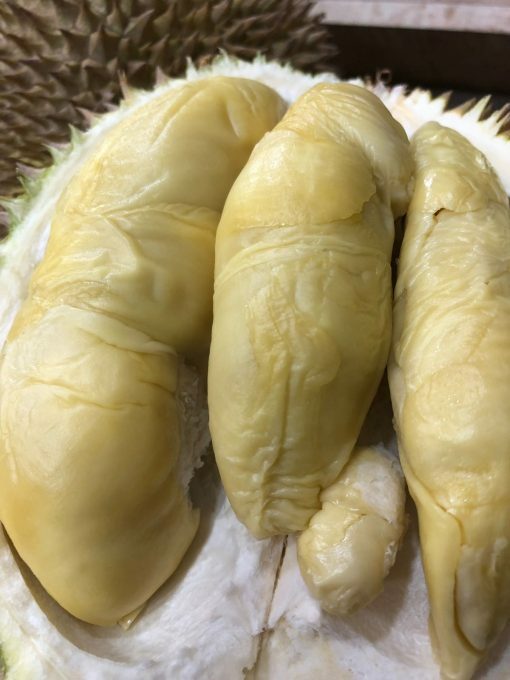 For those who would try this type of durian, you can choose the ones with brown husk for a more bitter tasting Golden Phoenix Durian. Q: What can I expect when I order the Jin Feng / Golden Phoenix Durian? 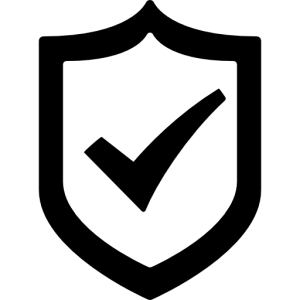 A: You can expect a high quality durian that is verified with the Malaysian Durian Authorities to be an actual Golden Phoenix Durian. In the de-husked packet that you will receive, your durians are hermetically air-sealed using a heat-sealer. Inside your packet will also be a water-absorbent condiment pack that we use to ensure that your durians arrive to you nice and good. Q: Why is your durian price so funny? Why you sell 400g when everyone is selling per kg? A: Being a service that is specialised in delivery, it is difficult for us to send the husk over to you. 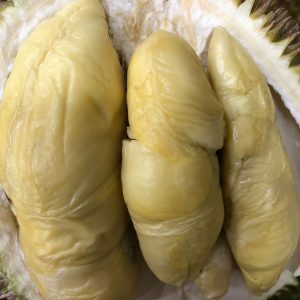 Additionally, by hand-packing the durians, we are able to make sure that what arrives to you is not spoilt and in good condition. 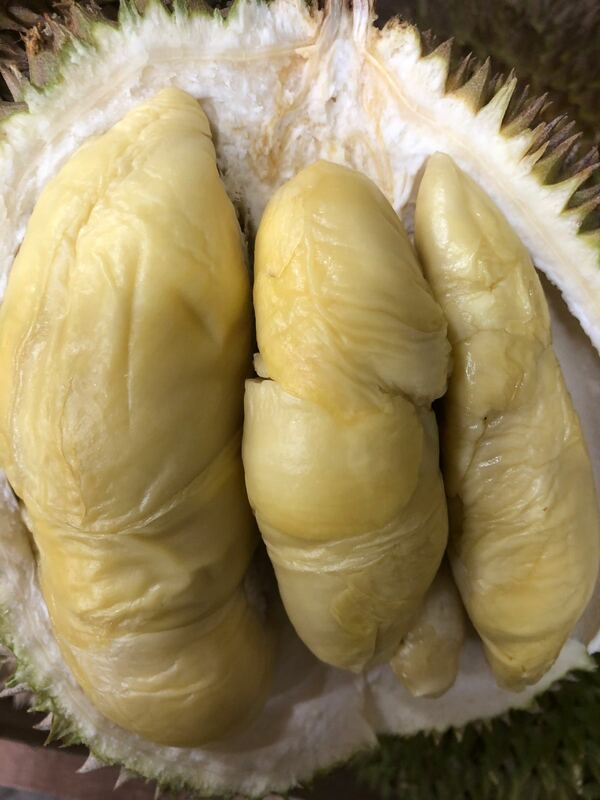 If we sent over the husk, you might not receive a perfect durian. 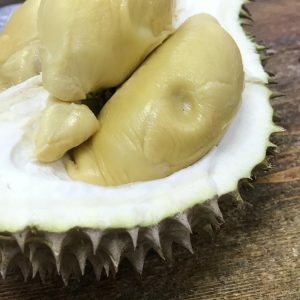 It is also worth noting that 400g of Jin Feng comes from 1.3kg-1.5kg of durians, which means that our durians are actually quite affordable. 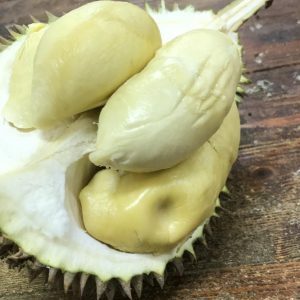 Q: Why are your durians sometime in-stock and sometimes not? 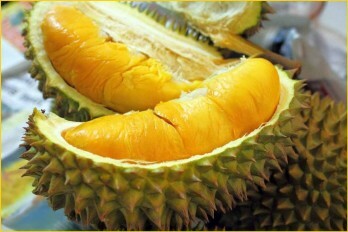 A: That is the case with durians, it’s that certain types will come into season and go out of season. 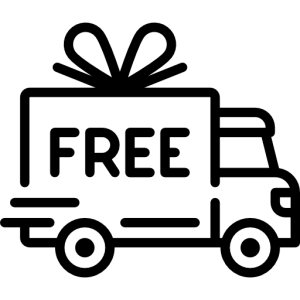 The main durian season will have the most types of durians, so if you can patronise us during that period, that would be the best. 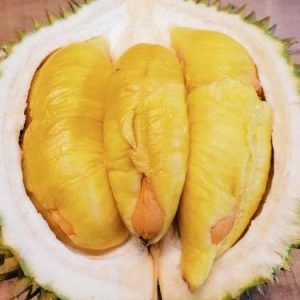 We love the Jin Feng durian! Thanks to Ah Jim for choosing the best for us. One of the best tasting Jin Feng durians we’ve had!